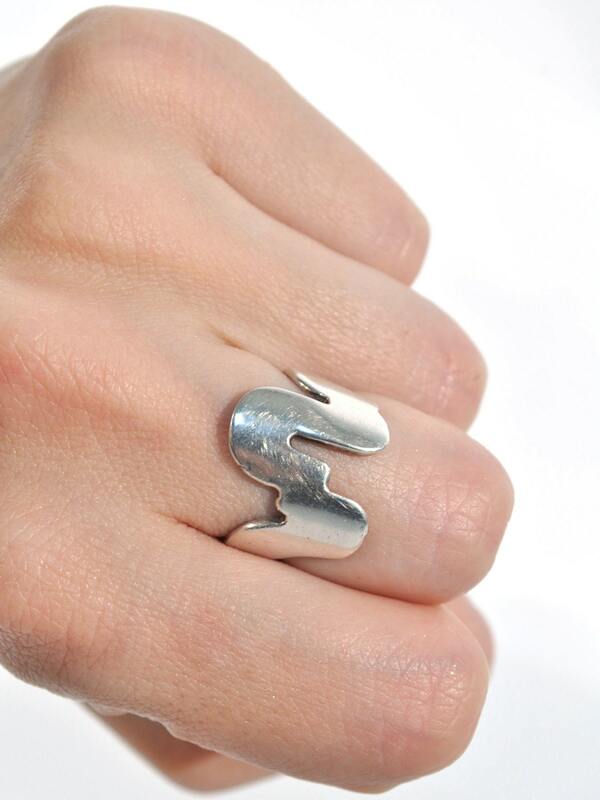 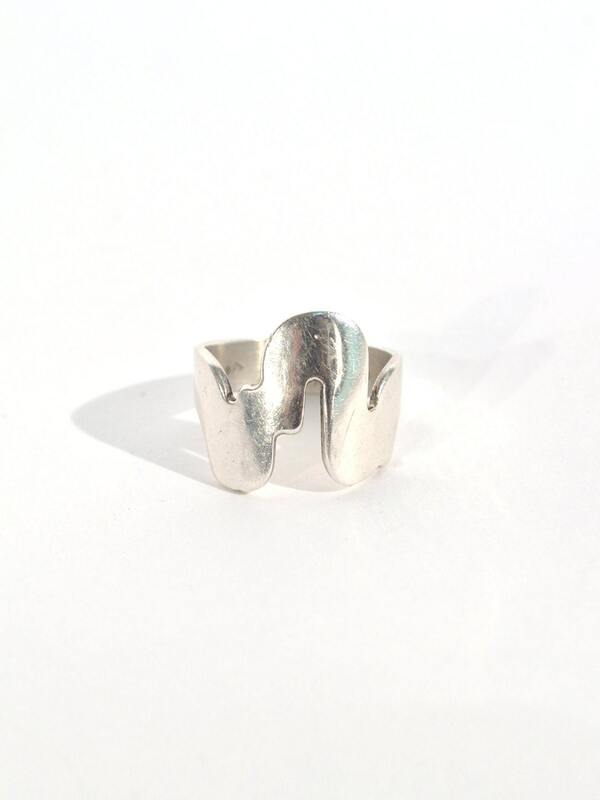 Beautiful, unique sterling silver ring with abstract, mod waveform design. 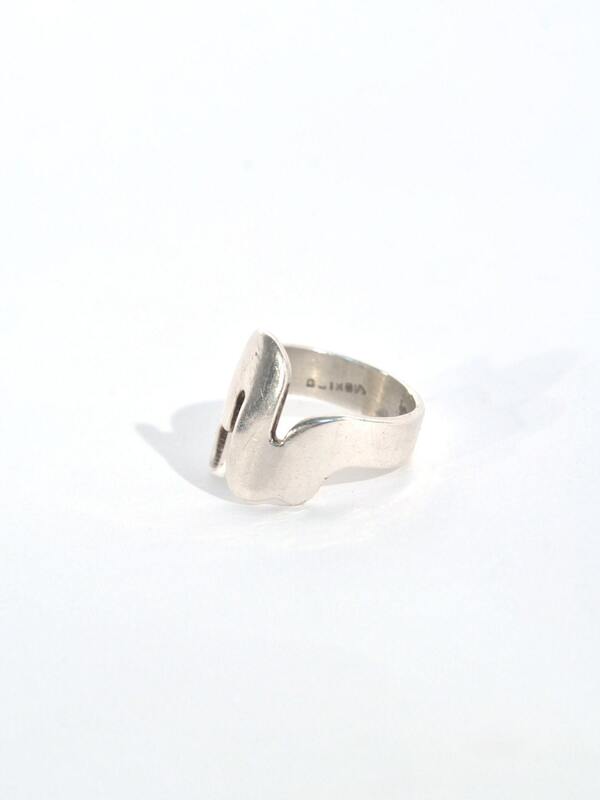 Flat and low profile, it's super easy to wear. 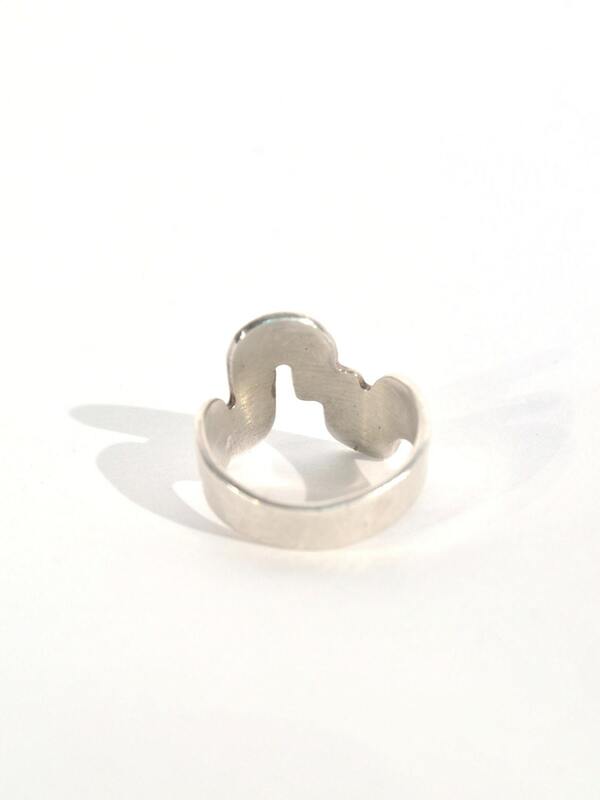 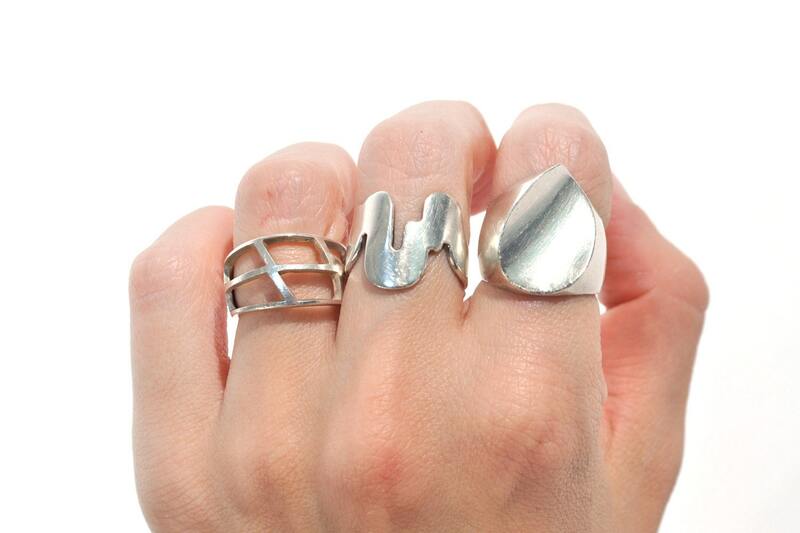 Looks great as a standalone statement or pairs well with other rings on the same hand.